The eagle-eyed among you will notice that Facebook seems to think I’m talking about the England football team, which is something that would be exceptionally out of character for me. 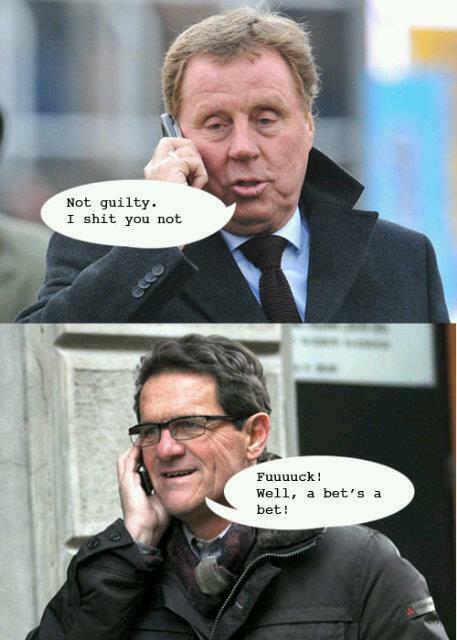 (Having said that, I am always amused by satirical posts about ‘the beautiful game’, such as this ‘Harry Redknapp Fabio Capello phone photo‘ that had me in stitches earlier in the week – be warned, there is some choice language). Not the most catastrophic error that Facebook could have made, but for me it was enough of an incentive to grab the laptop and kill another 15 minutes in my countdown to kick off! Some of you may also have spotted from the picture that I have some money riding on this game, so of course I shall be updating this blog to let you know how I got on!